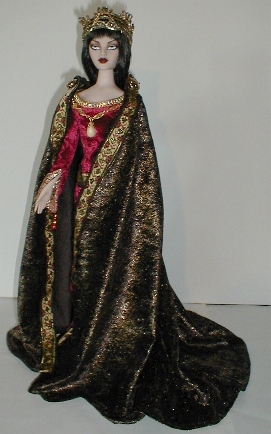 A rich and luxurious costume for your doll!! 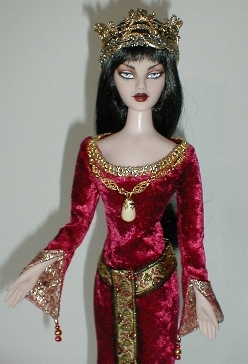 Here is Madra before her makeover. 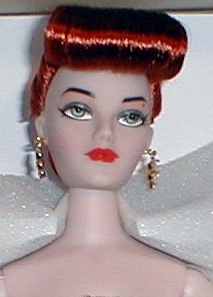 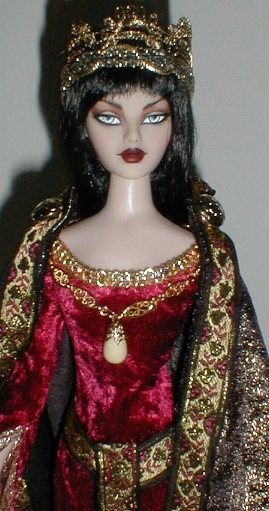 Her original hair and makeup where removed and she know has a lovely black wig and new handpainted facial features !